The Soft Underground - Ghosts. 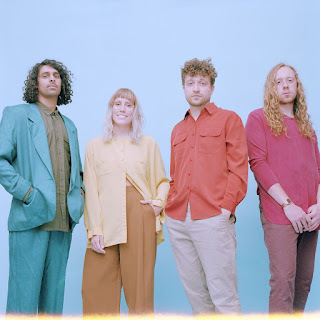 Background - NYC-based The Soft Underground may hail from the outskirts of Manhattan, but have been hailed as modern decedents of the touchtone bands from Seattle’s 90’s alternative scene. The West Coast Feed - You Belong To Me. 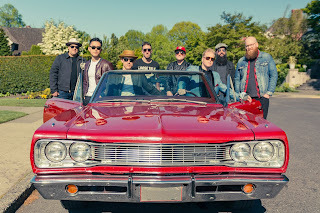 Background - Honoring the collective legacies of Memphis, Muscle Shoals and New Orleans, The West Coast Feed – eight members strong -- generates a modern and electrifying swagger rock/soul experience. The tight backbeat of the rhythm section, a vibrant three-man horn section, tandem electric guitars and a soaring violin set the stage for the commanding voice of charismatic front man, Jesse Butterworth. 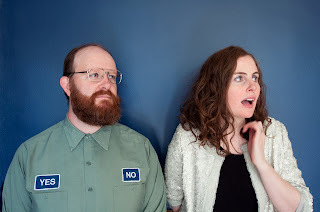 Background - Frontperson is the new project from Kathryn Calder (vocalist and keyboardist for The New Pornographers) and Mark Andrew Hamilton (who has released six albums as Woodpigeon). 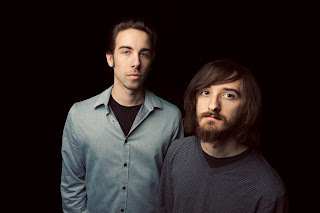 The duo are pleased to share the video for “Tick - Tock (Frontrunner)” the first single from their debut album, Frontrunner, out 21 September on Calder’s own Oscar St. Records label. The video shows a track and field event shot backwards in slow motion, which is also reflected in the album artwork. For the making of their debut album, Frontperson were joined by Melissa McWilliams (drums, drum machine), Jen Sévertson (bass, also of Peach Pyramid), Clea Foofat (cello, also of Raleigh and Dojo Workhorse), Foon Yap (violin), Marek Tyler (percussion, also of nêhiyawak), and producer Colin Stewart (The Cave Singers, Dan Mangan, Black Mountain). BANDCAMP. Favours - In The Night. Background - Favours are a band that that you will never hear from…unless we need something. Born out of personal rediscovery, we sing of the delightful fantasies and harsh realities of adulthood. How fitting that we practice in an office space after hours. “In The Night” is a ballad for those stuck in an unfulfilling cycle of repetition. Recorded with Josh Korody (Dilly Dally, Weaves) at Candle Recording Studio, it’s about escaping from the banality of the day and longing for the dreams that seem just out of reach. Dreams of star-crossed lovers destined to meet in another world, or those who do meet and cannot be together, tearing them apart at the seams. 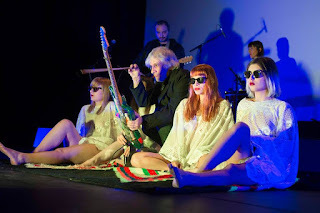 The Callas With Lee Ranaldo - Acid Books. Background - The Callas' latest single with Sonic Youth's Lee Ranaldo, "Acid Books" is out this week with its taut, post-punk grooves and hypnotic, scuzzed-up guitar lines, The Callas will find favor with fans of The Velvet Underground, The Horrors, and Neu!.